This item has been worn a few times, but is still in great shape. 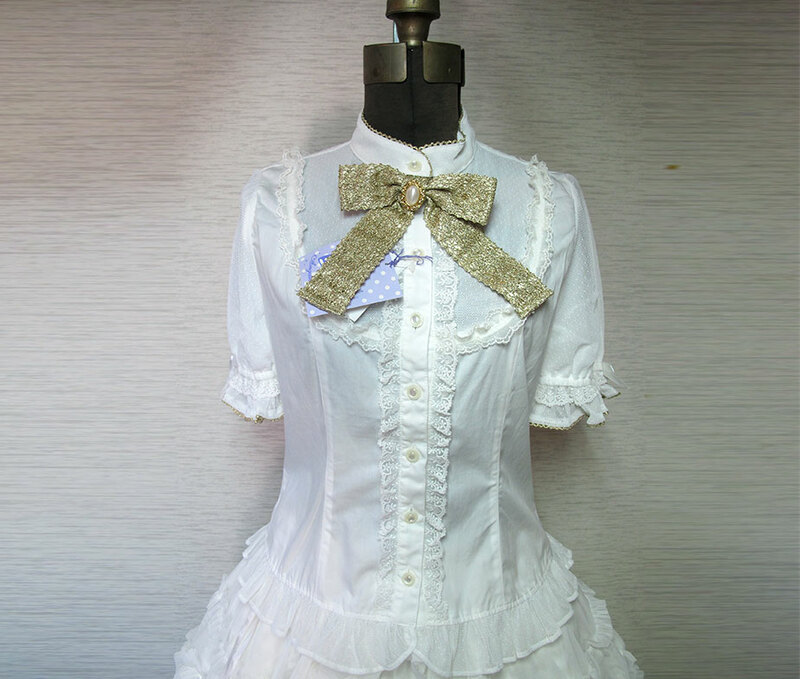 This is Angelic Pretty’s 2010 velveteen release. 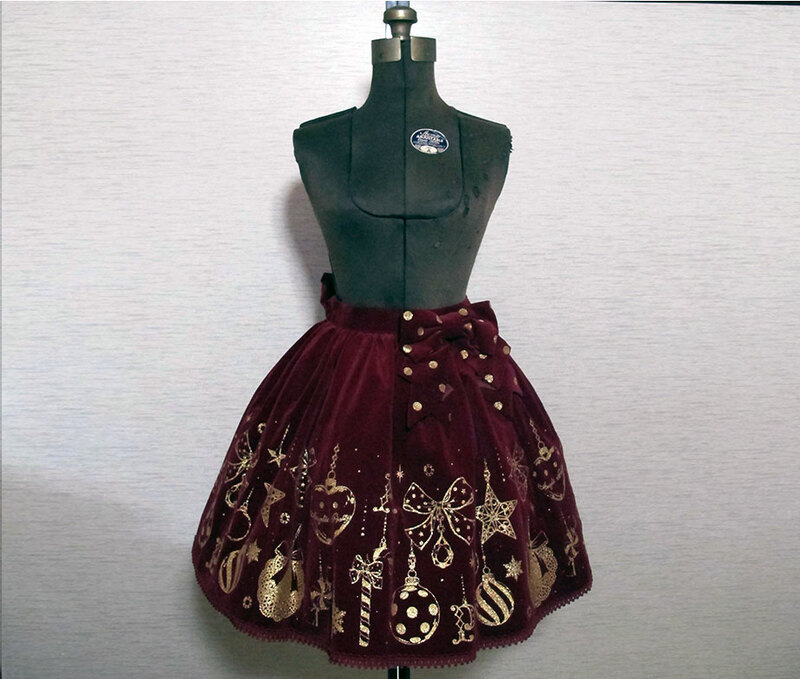 Skirt has a beautiful glittery gold print of various ornaments all the way around the skirt. 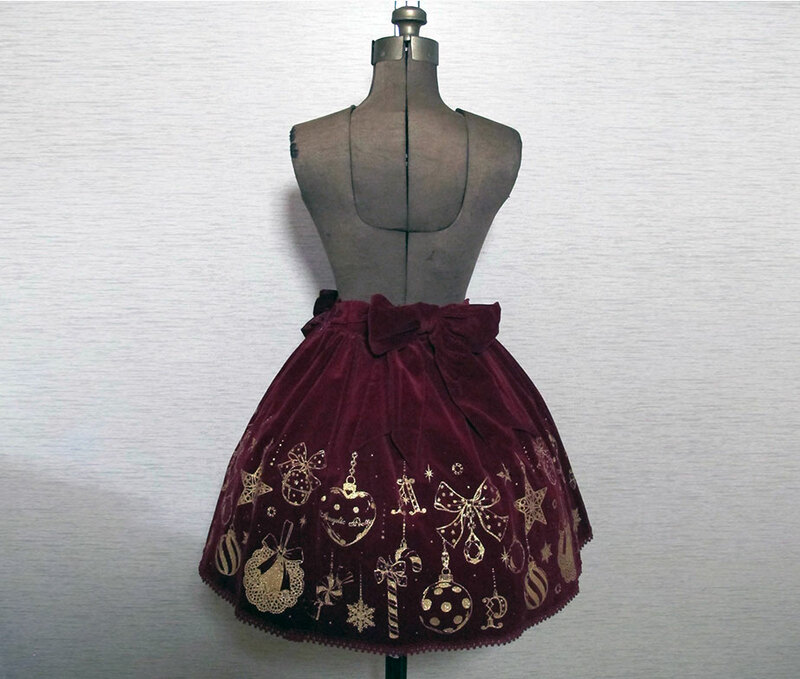 The dotted bow is removable and can be placed wherever you wish. Has partial back shirring and deatchable waist ties.